Hi! I am Desiree from .simply.simon. and I am honored to be guest posting today & hosting a giveaway right here on Silver Strands. Since I am hosting Christmas in July over on my blog I thought that today's inspirational Monday should be about something that inspires me at Christmas time. I believe that most people are inspired by Christmas songs so I will share my favorite one with you today, called When Love Came Down. It is sung by Point of Grace & written by Chris Eaton. Christmas should be about Christ & this song is a simple reminder of why we all get to be filled with joy an Celebrate. I love every line and it is a favorite all year round. To listen to this beautiful song go here. But do we really care for this world in need? I will be giving away, to one lucky person, a choice prize! You can choose between a mini journal pack or any one item from the Lydia's Treasures collection in my shop! And as an extra treat, everyone will get 10% off (returned after checkout) with any purchase in my store until July 31st - simply use the code: silverstrands10 in a message to me when you purchase an item. One can never have enough journals! What a kind giveaway! Also, of course I'm a follower. 'genius' on itunes decided to turn on the christmas songs last night. I was dancing about like it was nobodies business. lol. Beauitful song and I'm impressed that you've nearly done all your christmas shopping! I love christmas!!! If it wasn't for the cold weather, I would like it to be christmas all year round!! awwwww what a GREAT giveaway!! love all of the different journals! Those journals are adorable!!!! I love Christmas tooooo!!! Wishing you a great day sweet friend!!! I love Christmas time it is my favorite time of year. Every year when my family says grace before eating Christmas dinner, we take the time to truly reflect on the true meaning of Christmas. Love the journals, they are adorable!! and of course I am a follower. what a cute little journal to hide my ugly to do lists!! beautiful stuff! i love point of grace. they have such beautiful voices and harmonize so well together. awesome song! those lyrics give me goosebumps! how fabulous! this entire post is fabulous! Great giveaway, those little flower rings are so cute! I love that song! What an awesome giveaway! 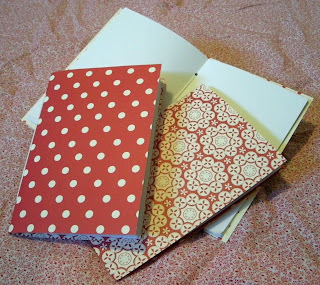 I have blogged about my love of journals and albums of all types. Before I was blogging (about 5 decades worth) I filled every journal and workbook, notebook I got my hands on. My personal letters were legendary. As a blogger I am really very quiet. Wonder why that is.